Often, nutritional unbalances are not exclusively due to the deficiency of a single element. In many species it is indeed clear that, under certain soil or growing conditions, the shortage or excess of a single element is easily identifiable, as is the case of iron deficiency in citrus fruit when cultivated in certain pH conditions or with a poor choice of pattern. In most cases, however, the visual symptomatology of a physiopathy is hard to assign exclusively to a single element. In such circumstances it is preferable to speak in terms of nutritional disorders rather than deficiencies. 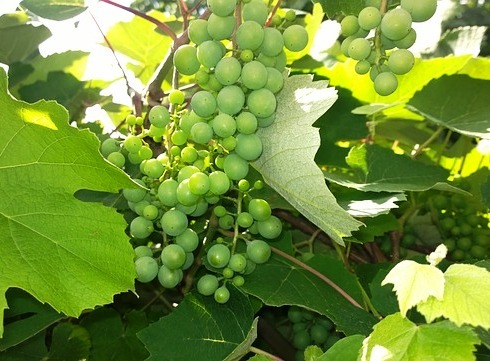 Table grapes are one of the cultivated species that display the greatest incidence of these types of problems. Indeed, due to a lack of technical know-how, they may initially be wrongly defined as exclusive deficiencies of Nitrogen, Potassium or some other primary or secondary macronutrient. Following this line of deduction we can observe various visual symptoms in distinct phenological stages, all originally assigned to a deficit, excess, or mismanagement of nitrogen nutrition. Nonetheless, upon further inquiry, the complexity of each of them is noted. We can more specifically define four distinct types of disorders: Spring Fever, Inflorescence Necrosis, Bunch-Stem Necrosis, and Mushy Berry.